This property is 14 minutes walk from the beach. Situated in Budva, within 1.8 km of Aqua Park Budva. Studio Krug Apartment offers accommodation with free Wi-Fi and air conditioning. Guests staying at this apartment have access to a fully equipped kitchenette and a terrace. 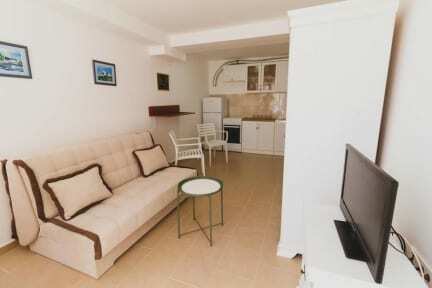 Mogren Beach is 2 km from the apartment, while Jaz Beach is 3.4 km from the property. 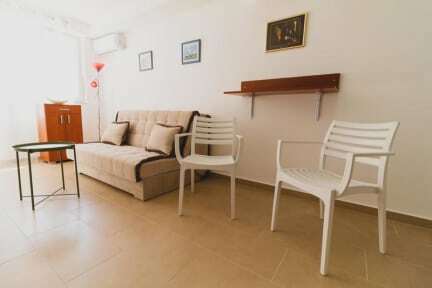 The nearest airport is Tivat Airport, 16 km from Studio Krug Apartment. Offering 1 bedroom and 1 bathroom, this apartment features a flat-screen TV with cable channels. Taxes not included - occupancy tax 1 EUR per person per stay.